As any retail business owner knows, or will find out in time, shrinkage is a serious issue to deal with. While most of the fiscal year will be spent trying to work toward turning a profit, the margin between staying in business and falling short is a matter of a few small percentage points in terms of overall revenue. IP security is a “protocol suite for securing Internet Protocol communications by authenticating and encrypting each IP packet of a communication session (Kent).” In other words, communications such as credit card transactions, emails, or video are translated into digital signals and sent across the Internet. The adoption of IP continues to grow worldwide, and in the video surveillance industry it is predicted that implementation of IP video surveillance will grow over 200% from 2010-2012 (IPVideoMarket.info). 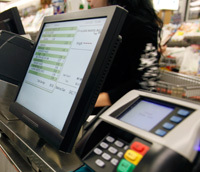 A Video and Data Management System enables retail businesses to integrate their data intelligence, such as transactions or people counting, with the video from their video security system. The integrated video and data intelligence allows retailers to track daily receipts, inventory, and even their customer demographics. Used in conjunction with IP security cameras, VDMS is one of the most powerful security options available for retail businesses. Infrared technology is quite effective for little to no light situations. From SMART IR to wide dynamic range security systems, even retail businesses that remain in the dark at night will be protected. The systems can be used with stealth – which means that the potential thief wouldn’t even know the cameras are being used - depending on the frequency of the infrared light, or be visible, depending on the retail owner’s needs and preferences. When choosing the right infrared illumination, it is important to consider location, weather conditions, and range. Checking on a person’s credit history is also not advisable and is currently under scrutiny in Washington, DC. The best way to know who is working for you, or who you plan to hire, is to make sure that they are who they say they are. Verify their ID, check their addresses, places they’ve lived and worked, and if there are any discrepancies or outright lies, address them on it. There could be a good reason or they could be trying to hide something. 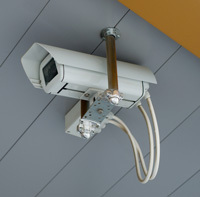 A video security system is one of the most important pieces to protect a retail business from loss due to theft. Security systems can alert police and other professional services to potential break-ins, can monitor who is coming and going through the store, and establish a deterrent to vagrants wandering by the store. The more measures that a business puts in place for security the more it reduces loss due to theft, fraud, or other forms of shrinkage. Security is essential to protecting one’s business and any measures that are put in place should be considered an investment, not an expense. While the business may not see a boost in revenue, it will notice a reduction in loss and that, in itself, is increased profit margins. No two retail businesses are the same. While one may be a stand-alone operation, another might be part of a larger company. Deciding on which security solution is ideal for any given business requires an audit of the business’s history, management practices, goals, and budget. Beck, A., C. Peacock. New Loss Prevention: Redefining Shrinkage Management . Palgrave MacMillan, New York, NY:2009. Greggo, A., M. Kresevich. Retail Security and Loss Prevention Solutions . Taylor and Francis Group, LLC, Boca Raton, FL: 2011.